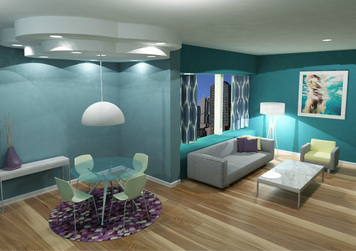 Interior design sample by Mandy H.
Mandy's wish of being an interior designer was confirmed while witnessing her parents' home design project as a young girl. Learning, watching and helping put together all of the interior elements of a brand new home inspired her to pursue a career in the design field. She received her BFA in Interior Design from Harrington College of Design in Chicago. Mandy has experience with working on residential design projects. She has a strong interest in furniture and admires it as the perfect example of where beauty and functionality meet in the interior design world. What I love most about designing is being able to wow clients. They often see a coffee table or piece of art they want, but they have no idea where it fits in their space. When a client realizes the possibilities a designer can bring to their space and are happy with the end result -- it makes my day! 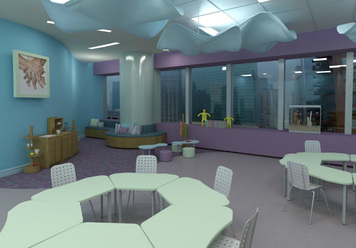 My ideal project would definitely be a children's room. 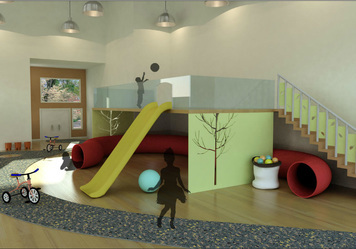 It is the meeting of my two most favorite things; children and design! The whimsical possibilities are endless! A passion for all things beautiful drives me to design. 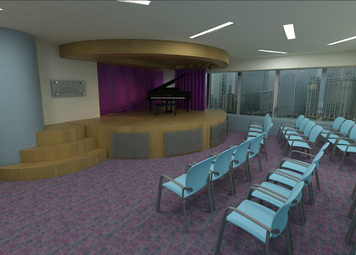 We don't realize how much our interior environments affect our mood, until we walk into a beautifully designed space!